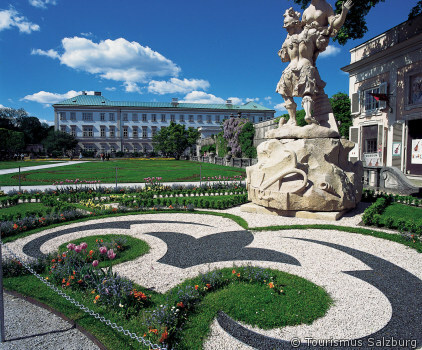 Most of the sights can be seen on a stroll through Salzburg's historic city center: the Residence, the Carillon, the Cathedral, the Franciscan Church, Mozart Square, the Horse Pond, Hofstallgasse, Hohensalzburg Fortress, St. Peter's Monastery. The spirit of days gone past can be felt at every turn: the ages have left their mark on the churches, towers, façades, balustrades and galleries. Even the street names commemorate the people and events that shaped its history.